Boy I love being surprised by films. The Beaver is not the film I expected it to be. Jodie Foster introduced the film, and with a wry smile on her face, she warned the audience that this would not be a lighthearted, uplifting story, and well, she was right. Thank god she made the movie she did. The Beaver tells four stories. A clinically depressed man that has tried all he can and is on the verge of suicide, stuck in a box that he cannot break out of. A wife at the crossroads of a broken relationship, a son desperately trying not to be his father, and a girl struggling to truly express herself. This movie is dark. This movie is depressing. In fact, there is just enough light and hope in this movie [I just realised I keep switching between “film” and “movie” >.<] to keep it from falling into a very dark place, and ultimately, I found this tone and balance that was maintained to be perfect. Mel Gibson. He hasn’t had a great time lately, but his performance here was fantastic. The voice he puts on as The Beaver, the intricacies of his hand puppetry that worked so well, and the pained look and mannerisms that made his depression so believable. Anton Yelchin was a very close second, and he more than stole the show at times. Once again, a very pleasant surprise, as I had no idea what to expect from him after Star Trek and Terminator. Ultimately, Porter may have written that graduation speech for Jennifer Lawrence’s character, Norah, but it was his voice just as much it was hers. It summed up the movie; everything is NOT always ok, but the people around you, and the connections you make and the relationships you have with them make this life bearable. Can you just feel the positivity oozing out of this film? The score was quirky, Foster’s direction was brilliant, and it was darn well scripted. Highly recommended to anyone who wants to see something different, come general release. 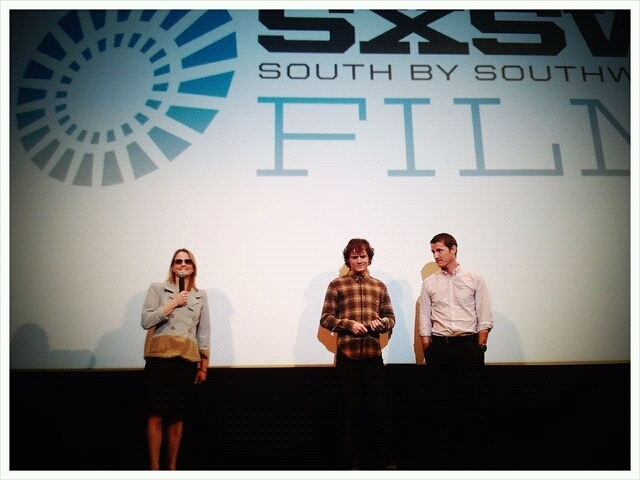 → SXSW 2011 in films. Q&As, lines and the 15 I saw, ranked. ← Drive a cab or pedicab at SXSW? Check the Explore tab on Foursquare!